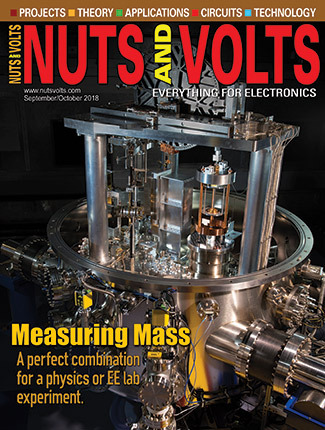 Planar lens for smartphones; optical clock accurate in the attosecond range; the new Asus’ ZenBook 3 laptop; how to run a quantum computer; what to do if you really need a lot of storage; a supply for your Pi; never losing anything again; and what happened to Bell Labs. This time, read about looney tonnes, mini Android PCs, worlds most powerful laser, the top 10 world changers, plus some other neat stuff. 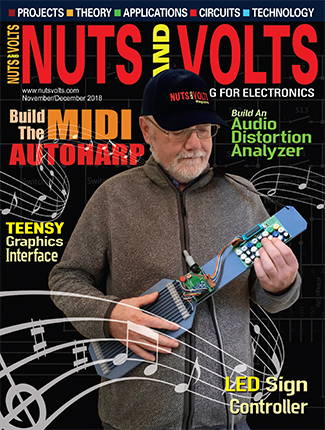 Read about gearing up for millimeter-wave communications, an IoT starter kit in the offing, wising up your vehicle, looking young again, plus some other stuff. Topics of interest this time include the world’s fastest electric motorcycle, getting your own cloud, taking your own ECG, preserving the CRT, plus some other cool stuff. 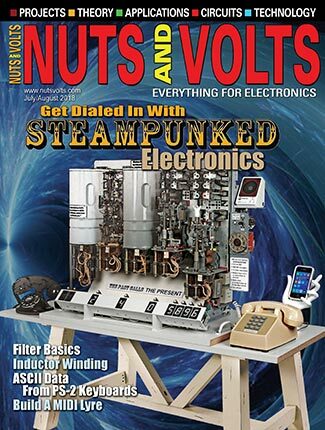 Some of this month’s topics include different types of refrigerator magnets, better satellite images, adding Wi-Fi to your Arduino, and wearable cameras, just to name a few. Read about the tower of power, building your own gaming machine, free disposable email, plus some other cool stuff. Learn about reverse solar generation, digging up dirt on neighbors, teeny-tiny MCUs, plus some other timely topics. Topics to read about this time include squeezing out leakage; faster, cheaper SSD; a real crock; plus some other interesting stuff. 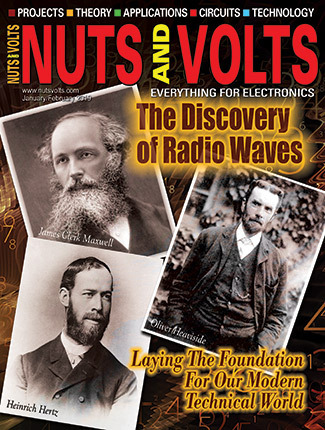 Read about a transistor that learns, secure wireless access, the Smellophone, plus some other cool stuff. Light-emitting pasta, Intel + Arduino = Galileo, a DC meter suitable for battery monitoring, and an IEEE conference in Vegas are just some of the highlights from this month’s selection. The first human B2B interface, the world’s thinnest keyboard, digital detox, and some tough little fuses are some of the tittilating tidbits you’ll read about. Yes, Virginia, there is a monopole; is it an AIO or tablet; dippers for tippers; and a bill that’s been introduced to protect electronic privacy are just some of the topics covered. Raising our taxels, free image enhancement, and finding hidden cell phones are just some of the interesting tidbits discussed this time around. Printing a pancreas, a REALLY big tablet, a barometer for smartphones, and an app contest with $50,000 in prize money are some of the topics talked about this time. Rainbow on a chip, farewell to botulism, enhanced security from Dell, GIMP is good, get Cubified, flash for mobile phones, BIG screen TVs, and IEEE member predictions. Tapping into tap water, a super “duper,” and core memory’s 60th anniversary are just a few of the things you’ll read about this time. Slicing with sound, wireless storage for eight mobile devices, a rival for GPS, and a way to never lose anything again are just some of the interesting tidbits you can catch up on this month. Read about memory cubes that are poised for production, the world’s thinnest UHD monitor, and being surveilled by store mannequins, just to name a few of the items presented. Some of this month’s tidbits include a supercomputer that hits 20 petaflops/s, the next-gen of the iMac family, and how to record your entire life effortlessly. Wastewater that produces electricity, custom gaming computer, 2.5-D images by Christmas, plus other stuff you’ll find interesting. Topics covered include Maxwell’s demon is discovered, affordable night vision, new ’scopes are introduced, butterflies are not free, plus some other stuff you’ll find interesting. Topics covered include the fastest graphene transistor, turning your HDTV into a videophone, a flytrap that eats cesium, plus some other stuff you’ll find interesting. Topics covered include glitter power, an entry-level server, Psystar throws in the towel, plus some other stuff you'll find interesting. Topics covered include the destruction of the universde, Mac upgrades, a three-axis gyroscope in a single package, plus some other stuff you'll find interesting. Topics covered include a humongous hybrid, the world's first USB 3.0 RAID drive, text-to-speech handheld, plus other stuff. Topics covered include a $10 million buzz, adapter to simplify sharing digital content, vintage Mac fetches $8260, plus other stuff. Topics covered include iPOD recording device, repulsive light force discovered, protecting personal data, China to dump Lenova holdings, plus other stuff. Topics covered include lasers with curves, the smallest DC/DC concerter, quantum error suppression, plus other info you won't want to miss. Topics covered include harnessing antimatter, eye-to-robot interface, Intel fined $1.45 billion, plus other info you won't want to miss. Topics covered include super charged lithium-ions, fuel cell buses, viewing Mars, plus other cool stuff. Topics covered include "meat" for robot brains, rodent power, dangerous printer particles, plus other cool stuff. Topics covered include a dual screen laptop, phone watch, motor sets RPM record, plus more. DNA analysis, owning a Cray, Navaztags explained, plus more.